The Regulatory Reform (Fire Safety) Order 2005 requires that all employees receive regular fire awareness safety training to reduce and prevent fires from occurring and to provide them with the knowledge of how to act in the event that a fire does breakout. 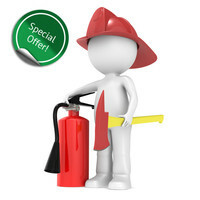 Discount Fire Supplies supply a range of Fire Safety training, from training software that can be installed to a computer, to fire safety training that can be carried out online. By using the training we provide you can reduce training time and expenses and therefore reduce overall training costs. All of our training complies with fire safety law, providing employees with all the fire safety training they need to be aware of the threat posed by fire to people and property and keep your business legal. A simply Cost Effective Management Legal Compliance Software Resource and save time and money today! An Unrivalled “One-Stop-Shop” Workplace Fire Safety Risk Assessment tool. Considered a UK best value simple to operate programme designed to assist small businesses with The Regulatory Reform (Fire Safety) Order 2005. Meet your statutory Fire Training Obligations and save time and money today! 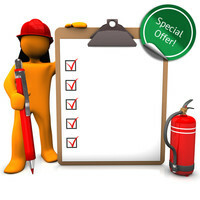 An Unrivalled Cost Effective “One-Stop-Shop” Workplace Fire Safety Training Programme. Considered a leading multi disciplined interactive workplace fire training programme within the fire protection industry designed to assist small & large businesses with The Regulatory Reform (Fire Safety) Order 2005. Designed to assist you with Health & Safety legislation, which includes The Regulatory Reform (Fire Safety) 2005.